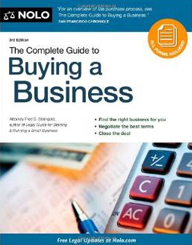 Provides an overview of the key steps in buying a business, the key legal issues to consider, and important tax considerations.Offers a variety of approaches for valuing a business, and advice about financing the purchase, structuring the deal, and making it happen. Provides forms and documents for taking ownership. 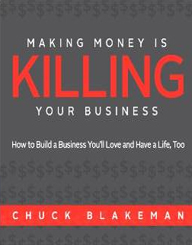 Selling or buying a business can be a lucrative but risky transaction. It’s all too easy to sell yourself short or to overpay as the buyer. 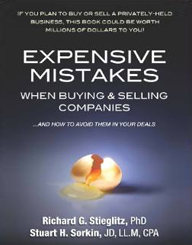 If you want to avoid the costly mistakes that many business owners make in M&A transactions, this book is for you. It provides valuable guidance on how to prepare for and negotiate your deal, and how to leave the bargaining table with more money in your pocket! How much a small business is worth can be difficult to determine, but when a business is about to change hands, a fair and objective valuation is crucial to the sale. 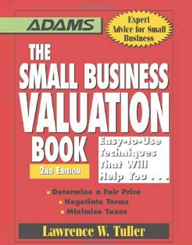 This book is an invaluable resource for business owners or buyers looking for accurate small business appraisals. This completely revised and updated book outlines the major valuation methods, including discounted cash flow, excess earnings, asset value, and income capitalization. This edition includes completely new material on the following topics: exploring the 8 myths of business valuations; using the Internet for research; and advice on startups and first generation service businesses. 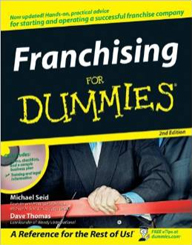 With this book, appraising a business has never been easier?or more accurate! 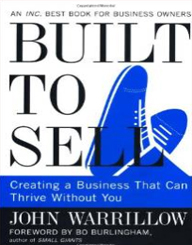 Covering every important aspect of the process, from attracting multiple bidders to getting the most for your business, “Built to Sell” easily explains what you must know and do if you want to create a business you can sell. Making Money helps business owners move from a focus on trying to make money to building a business that does it for them while they’re on vacation. 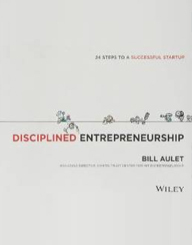 It debunks the idea that small business is a 30 year grind, and introduces the concept of building a business in just three to five years that runs itself. Learn everything you need to know about this ever-popular route to self-employment. Business is risky. 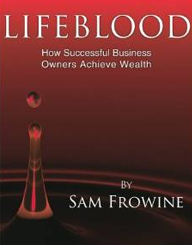 Learn how to build wealth as a business owner and reduce your risk. 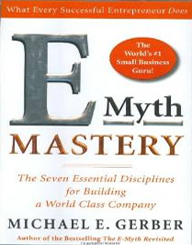 From bestselling author Michael E. Gerber is E-Myth Mastery, a comprehensive and practical guide for creating a world class company. Gain a new perspective on your current or future business. 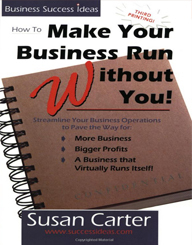 Make YOUR business run without you!